Teresa Chiba is a Japanese Graphic Designer and Illustrator. Through her own art production label - Production Genmu - she releases creative works in a wide variety of disciplines including Yukata (summer kimono), daily items and live performances in addition to her illustrations and designs. Many of Teresa’s works are based on traditional Japanese motifs including Kabuki and Folk Art. Her illustration work celebrates the ‘Kabuki Otome” - the teenage girls of Kabuki who are passionate, brave, yet sensitive. She combines the pieces of their rock spirit with girly characteristics and encourages the girls of today to find themselves in Kabuki too. Her designer toys are inspired by Japanese folk art. 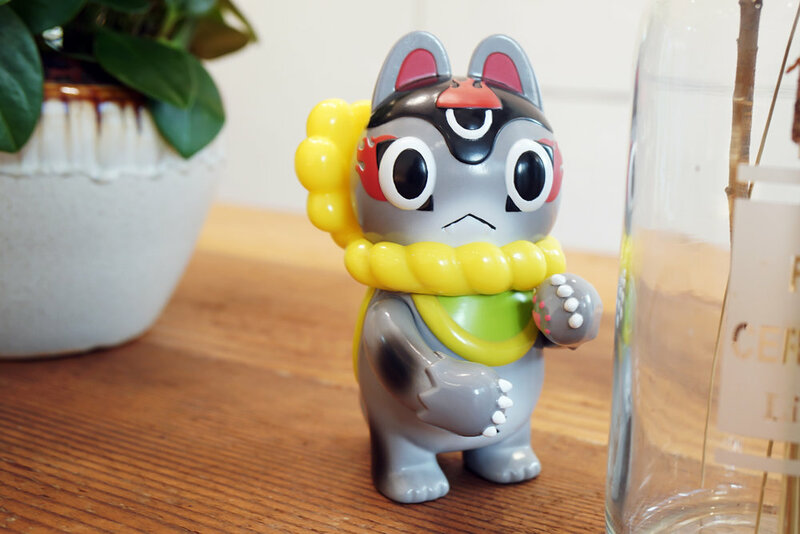 “Kibunanadon” was her first design toy - fish Kaiju toy - which was released in 2014. Inu-Harigon was her breakthrough toy design. It was self-produced and has already seen releases in a variety of colorways. Teresa is also an educator, teaching digital illustration skills at the Tokyo Design Academy in Harajuku, Tokyo. 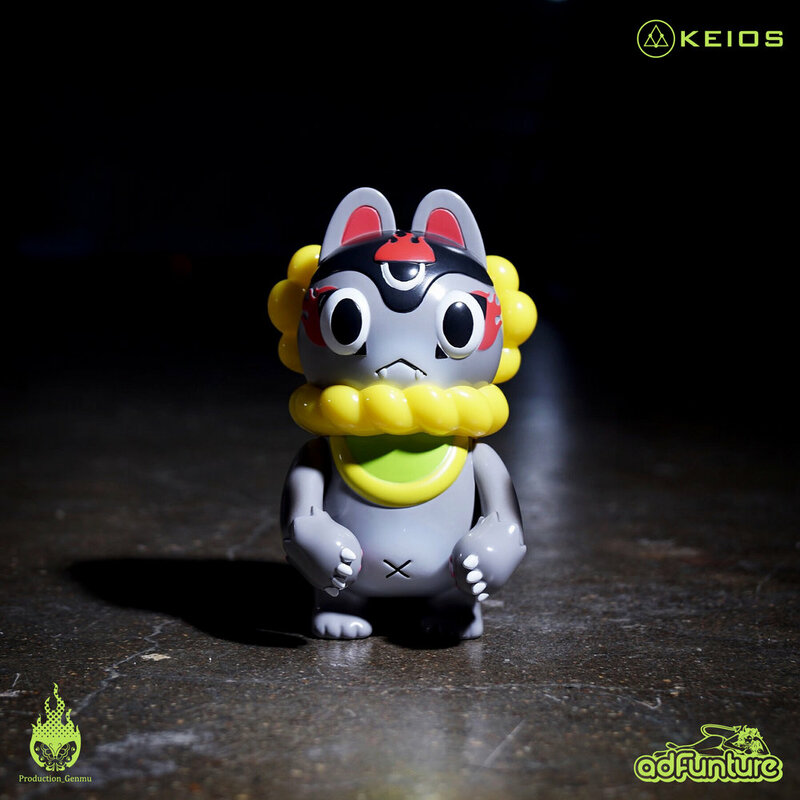 KD-HARIGON was a character Teresa designed for clothing brand KEIOS UNDER THE VEIL, then produced and issued by adFunture. The new character is a remix of Teresa’s infamous character INU-HARIGON and KEIOS’ three-eyed mascot KAYDEN. The grey colored skin depicted in the original colorway reflects KAYDEN’s original character setting.